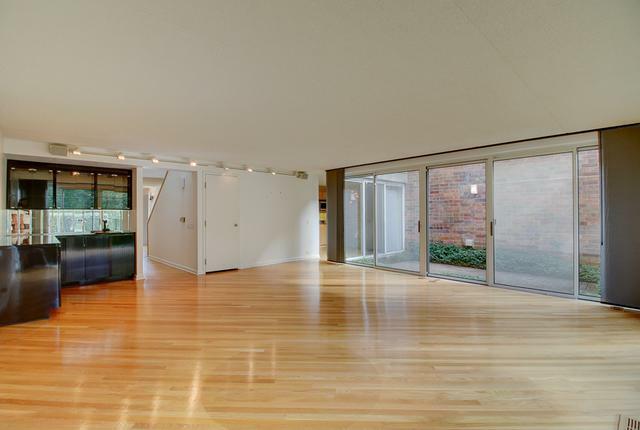 Midcentury modern townhome in a most private location with a flow of sunlight. Wall to wall and floor to ceiling windows. 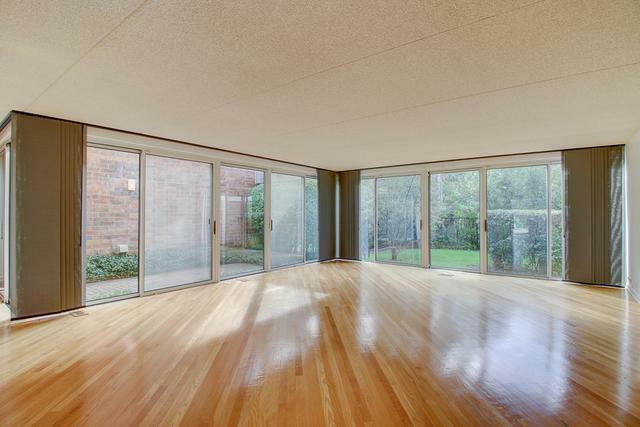 Brick paved patio off the large living room/dining room area with wet bar. Great home to entertain in. Fabulous built-ins in the master bedroom. Skylight in the master bedroom bath. 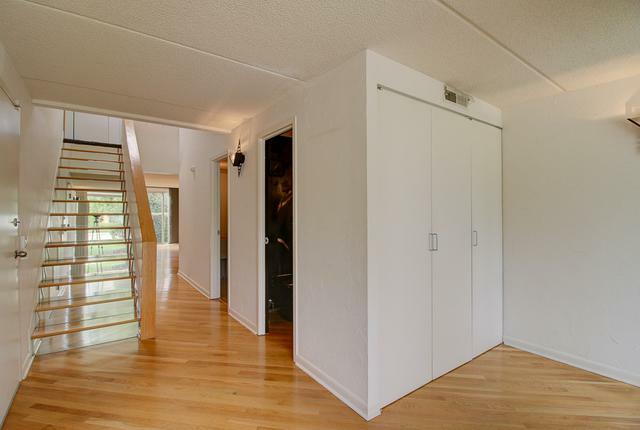 Relax in a family room upstairs with a fireplace and a deck access. Updated kitchen, stainless steel appliances, and granite countertops. All bathrooms are updated. Hardwood floors throughout the first floor. Finished basement with large cedar closet. Laundry room on the first level. Wonderful pool in the subdivision. 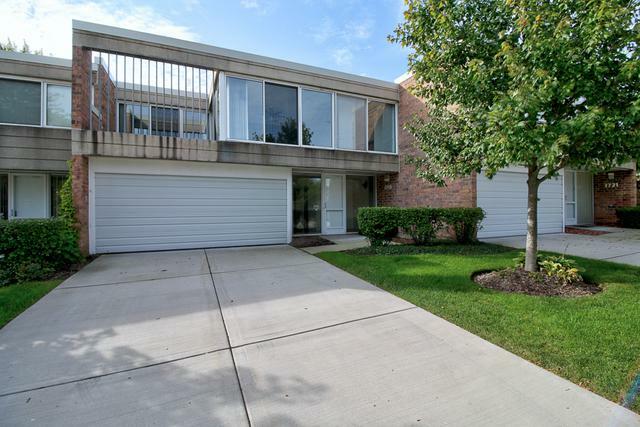 Walking distance to Northbrook Court restaurants, 3 minutes to expressway! Sold by Terra Property Group.